Welcome to Sea Safari Andenes - All Year! Orcas and winter in Norway! Does this sound appealing to you? How about the opportunity to snorkel with them? 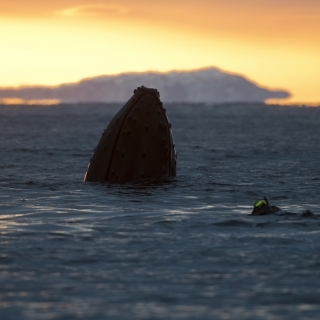 What about the thrill of encountering the majestic Humpback, Fin and Sperm whales by day followed by the wonderful Northern Lights come nightfall. Or do you prefer the summer and the luxury of the midnight sun? The possibility to go whale watching and bird watching at Bleiksøya, one of the largest bird cliffs in Northern Norway with plentiful Puffins and White-tailed eagles. 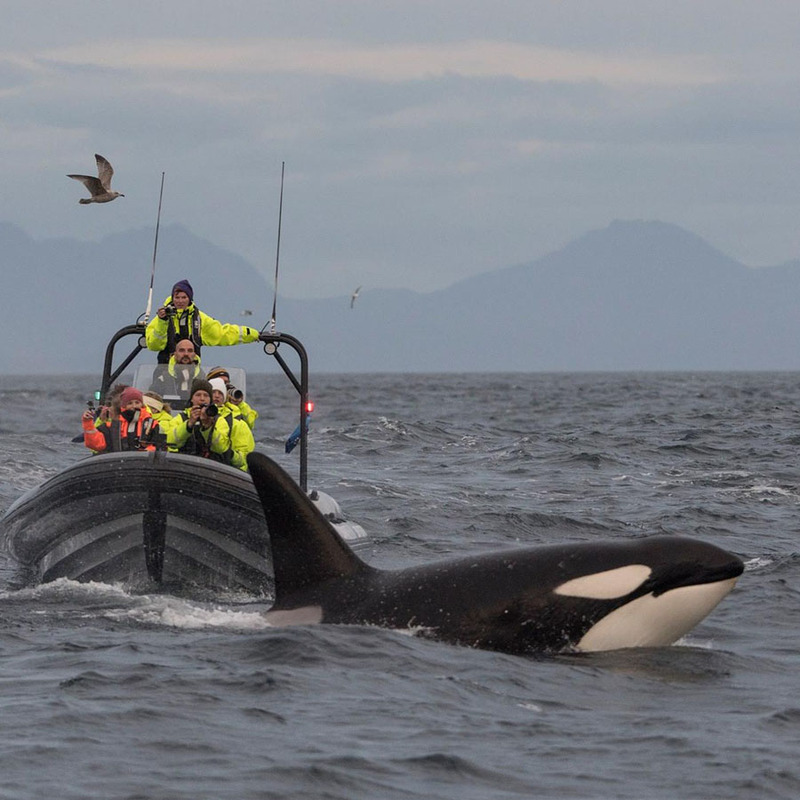 Make a reservation to do an amazing Whale Watching or Bird Watching trip in the Arctic with Sea Safari Andenes (Norway)! Book your tour here! or call for more information! Call 004791674960 or write an email: post@seasafariandenes.no. Follow us on Facebook or Instagram. Andenes is conveniently located in the north of the Vesterålen islands just adjacent to the "Bleik-canyon" - a deep-sea canyon at the edge of the continental shelf which is occupied by a variety of whale species the whole year round. 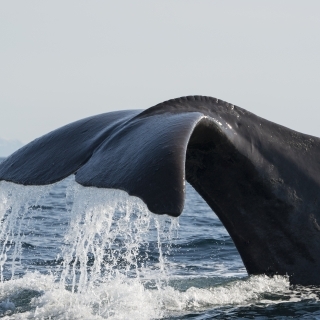 In just 15 - 50 minutes we can reach the whales with our RIB Boats to see up-close these intriguing animals. 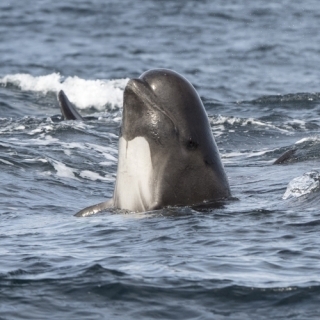 In order to find the whales we actively collaborate with local marine-researchers including the Norwegian Orca Survey. 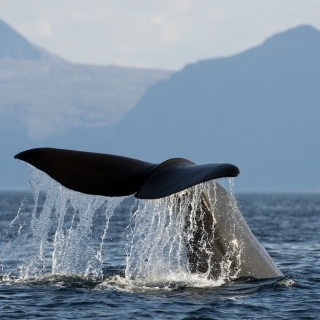 We also perform daily searches for whales from our local Andenes lighthouse. Through our ability to network we can accurately identify which whale species are within our proximity at any given time. Only a few kilometers from Andenes we have the prestigious bird-cliffs of Bleiksøya and Forøya, reknowned in Norway for their diverse and rich bird life. Aside from many thousands of nesting Puffins there is also the ability to see White-tailed Eagles, Shags, Guillemots, Razorbills, Gulls and the beautiful Gannets. We invite you to spend an unforgetable time in Andenes (Norway) and experience arctic wildlife up-close and at its best.